Val McDermid, Lindsey Davis this week on BBC Radio 7. In the latest in the series Foul Play, which is written and chaired by Simon Brett, authors Lindsey Davis and Val McDermid attempt to solve the mysterious death of a doctor. Go here for the schedule or to listen. 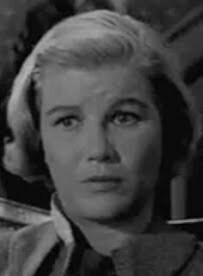 When people think of mystery, food, and the perfect murder weapon, what frequently comes to mind is Roald Dahl's "Lamb to the Slaughter," which was adapted for Alfred Hitchcock Presents in 1958 and starred Barbara Bel Geddes. Happy 150th birthday, Woman in White. Whitlock reissues "Victorian Valley of the Dolls." Whitlock Publishing has reissued the temperance novel Danesbury House (1860) by Mrs. Ellen Wood, which combines "addictions, insanity, forgery, and death" and is memorably characterized by its publisher as a "Victorian Valley of the Dolls." Bestselling (take a look at these sales figures) novelist Wood, aka Mrs. Henry Wood (1814–87), may be best known for East Lynne (1861), but she also wrote a number of ghost stories and can be considered as a rival of Wilkie Collins and Mary Elizabeth Braddon. About the image: Portrait of Ellen Wood, from Memorials of Mrs. Henry Wood (1894). New biography of Louisa May Alcott. Just in time for Louisa May Alcott's birthday on November 29th, Julia M. Klein reviews Harriet Reisen's new Louisa May Alcott: The Woman Behind Little Women in Obit magazine and mentions that the PBS program American Masters on December 28 will focus on Alcott. I've always enjoyed Alcott's sense of humor and penetrating eye. In 1942, scholars Leona Rostenberg and Madeleine Stern discovered Alcott's hidden history as a writer of "blood and thunder" tales when they compared entries in Alcott's account books to published stories and so linked the A. M. Barnard pseudonym to Alcott. As I wrote in Deadly Women, these stories have lurid content such as drug addiction and murder; and A Long Fatal Love Chase, considered too sensational to be published in Alcott's lifetime, has the modern themes of domestic abuse and stalking. Klein cites Alcott's "thirst for adventure" in penning such tales; as Alcott wrote about one story, "Enjoyed doing it, being tired of providing moral pap for the young." Klein mentions that Alcott may have suffered from lupus, but it was my understanding that mercury—the treatment for the typhoid pneumonia Alcott contracted as a Civil War nurse—likely contributed to her death some 20 years later. 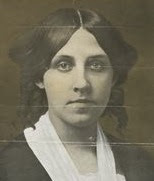 About the photo: Louisa May Alcott, NYPL. 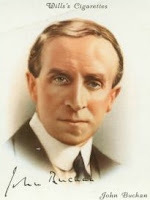 John Buchan this week on BBC Radio 7. 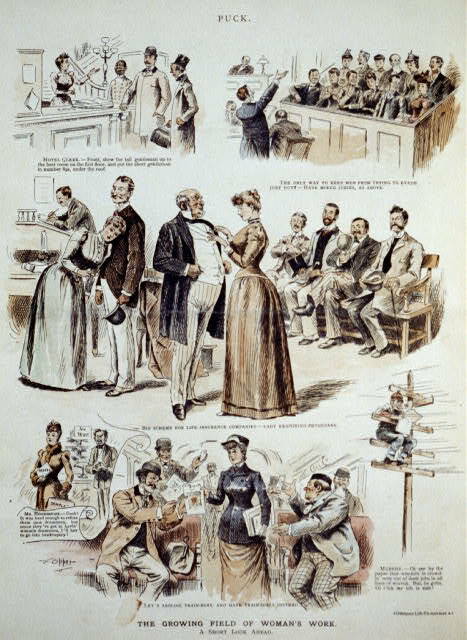 This week on BBC Radio 7: The life of an actress is threatened in "An Illustration of Modern Science" (1896) by Richard Marsh, best known for The Beetle (1897); a policeman recalls a memorable murder case in Wilkie Collins's "Who Killed Zebedee?" (1880), read by Ronald Pickup; and Richard Hannay seeks to thwart German spies in John Buchan's classic The Thirty-Nine Steps (1915). Go here for the schedule or to listen. About the image: John Buchan, NYPL. You too can indulge in academic obfuscation. The University of Chicago's Virtual Academic can supply that perfect incomprehensible academic sentence to you after you select words and phrases from various dropdown menus (e.g., "praxis"). I came up with "The illusion of praxis gestures toward the discourse of the public sphere." • 1934 panel from the comic strip Secret Agent X-9 (text by Dashiell Hammett; art by Alex Raymond). • "Hungarian Baroness Scores Success as Authoress," on Baroness Orczy, from the December 24, 1905, issue of the San Francisco Call, in which the baroness reveals that she reads Edgar Allan Poe, Victor Hugo, Georg Ebers, and Bret Harte. • A promotion for the upcoming serialization of Anna Katharine Green's Lost Man's Lane in the January 2, 1898, St. Paul Globe, in which Green talks about her writing philosophy: "I look for the naturally unexpected, and when I have found such a treasure, I take pencil in hand and take the 'dear reader' into my confidence and tell him or her just what, in my estimation, will induce him or her to go on." "damned sick of hearing people apologize to me for reading my stories." Over on Letters of Note: Even prolific Tarzan creator Edgar Rice Burroughs (1875–1950) had some down moments. As he writes to his daughter in January 1941: "If anyone says a kind word about my work nowadays, as you did, I nearly break down and cry. I have had so many refusals lately and had my classics so gratuitously insulted over here that I have lost confidence in myself." About the image: Bookplate of Edgar Rice Burroughs, bet. 1914 and 1922, by Studley Burroughs. Library of Congress, Prints and Photographs Division. New Web site on Robert Louis Stevenson. With funding from the Carnegie Trust for the Universities of Scotland, a new Web site has been established that focuses on Scottish native son Robert Louis Stevenson (1850–94). Included are a biography; a look at his various travels (including his time in Monterey, CA); books such as The Strange Case of Dr. Jekyll and Mr. Hyde and Kidnapped; annotations on his letters; photographs; a works chronology; associates of Stevenson such as poet W. E. Henley, Fanny Sitwell, and Andrew Lang; and a lot more. About the image: Robert Louis Stevenson, NYPL. This week on BBC Radio 7: Ellis Peters's Brother Cadfael in Dead Man's Ransom; a rebroadcast of Jon Lellenberg, Daniel Stashower, and Charles Foley's Arthur Conan Doyle: A Life in Letters; and Sara Paretsky's Bitter Medicine. Go here for the schedule or to listen. Happy birthday, George V. Higgins. 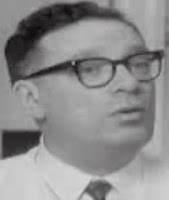 Lawyer-author George V. Higgins, best remembered for the gritty The Friends of Eddie Coyle (1972), was born today in Brockton, MA, in 1939. He died in 1999. A jury of her peers. 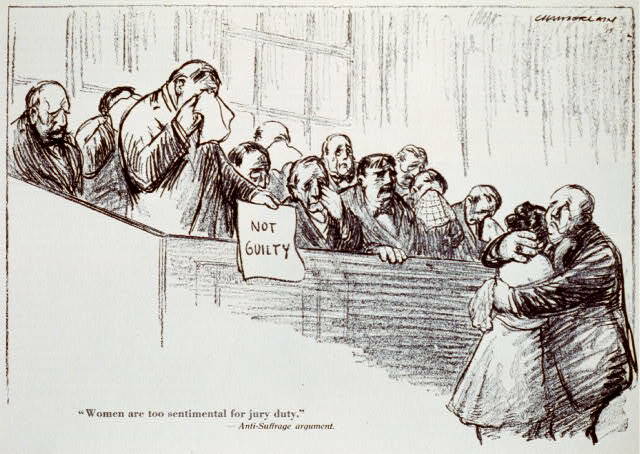 Wyoming was the first state to allow women to serve on juries, including six women on a Laramie grand jury in March 1870 that, according to I. S. Bartlett's History of Wyoming (1918) "investigated many cases including murders, cattle stealing, illegal branding, etc" (206). Some praise for John Buchan: A Companion to the Mystery Fiction. "For the sake of conscience." Over on Letters of Note, a November 1964 letter from science fiction-mystery-etc. author Isaac Asimov to the editor of the children's lit magazine Horn Book inquires about a raise in the reviewer's rate. Journalist, playwright, and screenwriter Charles MacArthur—best known for The Front Page (cowritten with Ben Hecht) and his marriage to actress Helen Hayes—was born today in Scranton, PA, in 1895. He won an Oscar for best original story for The Scoundrel (1935). He died in 1956. And Texas resident Carole Nelson Douglas—author of the Midnight Louie and Irene Adler series, as well as a new paranormal series—turns 65 today. Peter Temple on Radio New Zealand. Radio New Zealand talks to Duncan Lawrie Dagger recipient and Ned Kelly Award winner Peter Temple here. His most recent novel (a follow-up to The Broken Shore) is Truth (US publication: January 2010). Mysteries: Not just for geezers. After hearing dire predictions about teenagers' reading habits, I was happy to read the PW article by Bookreporter.com's Carol Fitzgerald that reported on the habits of young "uber readers." Mysteries were reported as favorite reading by 61 percent of the sample (after fiction, series, romance, fantasy, and adventure). It should be noted, however, that the respondents were overwhelmingly female (96 percent). Sapper's intrepid ex-World War I captain Hugh "Bulldog" Drummond takes to the BBC Radio 7 airwaves this week in "Bulldog Drummond." Go here for the schedule or to listen. Isaac Asimov:"For the sake of conscience."